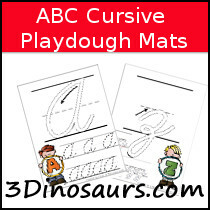 These ABC Cursive Tracing Pages with Playdough Mat are just some of the ABC Printables on 3 Dinosaurs. See all the ABC Printables here. 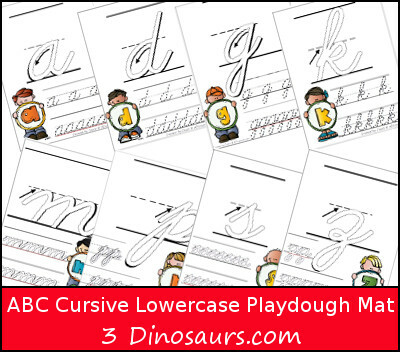 Click on the files below to download your copy of the ABC Cursive Lowercase Tracing Pages with Playdough Mat. 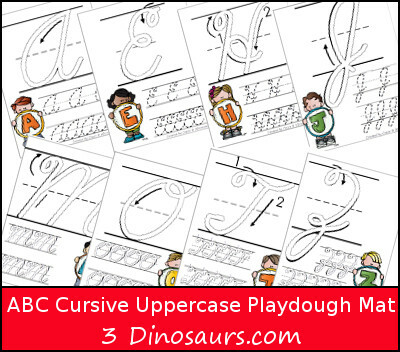 Click on the files below to download your copy of the ABC Cursive Uppercase Tracing Pages with Playdough Mat.